You can't find more welcoming hosts. The apartment was cleaned every day, towels and sheets were changed every other day. Both bed rooms were quite big. Supermarket is right opposite of the appartment. Clean, comfortable, and warm and friendly hosts. 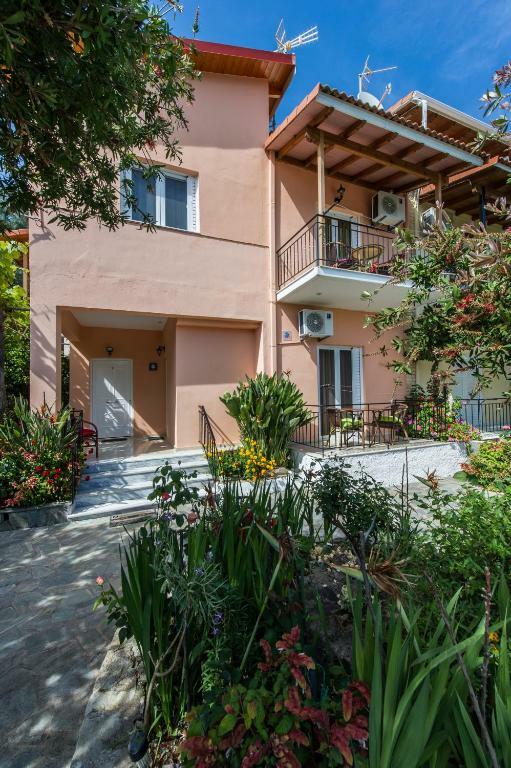 In a quiet location, a short walk from the beach, but with a free swimming pool and mini mart just metres away. Would definitely visit again. Excellent place for calm and relaxing vacation! Very clean, very quite, comfortable beds. Away from crowded center still close enough to reach after short walk. Blue flag beach (Valtos) just 10min walk away. Very nice room, spacious, very clean. Large and comfortable beds, balcony with furniture. The kitchen is very well equiped. The towels and sheets were changed at every 3 days. 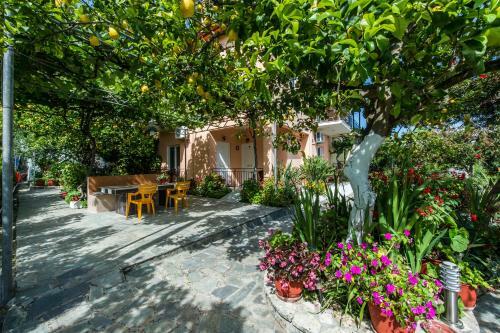 There is a nice garden with flowers and Lemon trees and parking places for cars. Very nice and warm oners. They gave us a bag with lemons when we leaved. Close to the large and sandy Valtos beach, 5 minutes walk. Very frendly with our little Dog. I highly recommended for families. 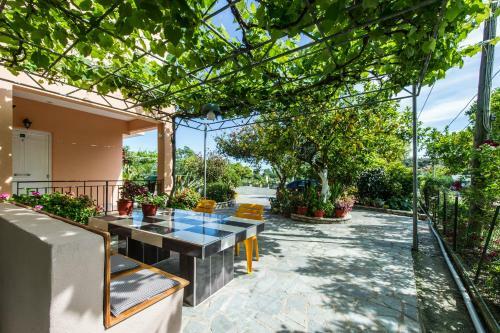 Extremely clean, very well equipped (even iron machine), very friendly owners and helpful, comfortable big studios with beautiful garden that offers nice shadow and a place for kids to play. A mini market is opposite and beach is 1 min driving or 10 min walking from organized beach and taverns.5 min driving is Parga (beautiful sea side village),which can be reached by sea-taxi that goes every half hour from valtos beach (from 10.30-23:00).I highly recommend it, especially for families,great stay. Wonderful place with great hosts. 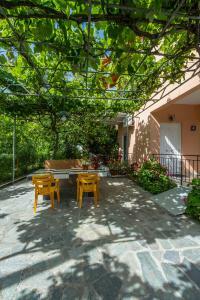 The studio was very clean and provided everything we needed for a perfect stay. The garden was amazing with beautiful flowers, fruits and scents all around. Super clean room. Good location. Very quiet. Parking place is available. Very kind hospitality. Booking.com made it a little difficult to treat my stay as one (changed dates after 1st booking) so you get two reports. One positive I missed from initial report was the existance of a ramp for easy access to two rooms. Otherwise, as before- everything about the place was excellent with great and generous hosts. 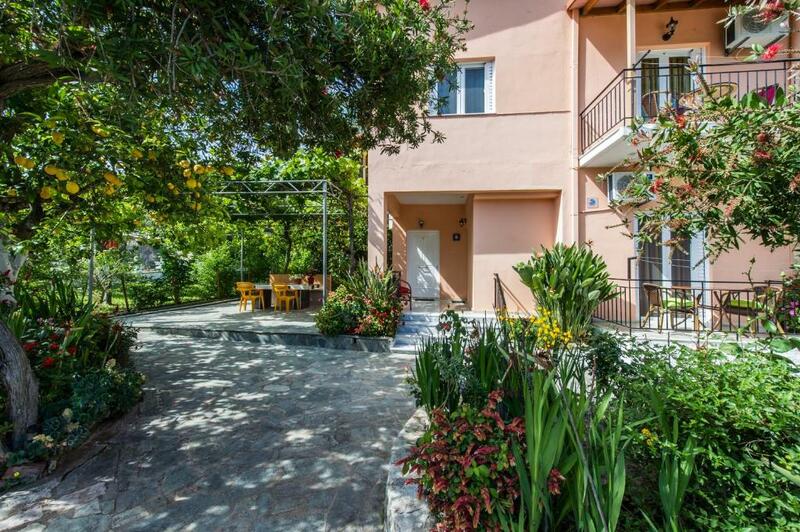 Lock in a great price for Zotos Rooms – rated 9.7 by recent guests! One of our best sellers in Parga! 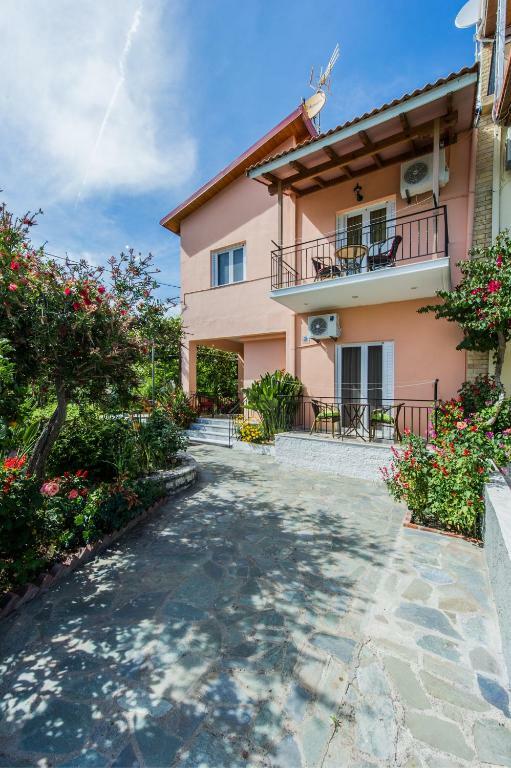 Zotos Rooms is located just 1,000 feet from the sandy Valtos Beach in Parga and within a short walk from tavernas and mini markets. 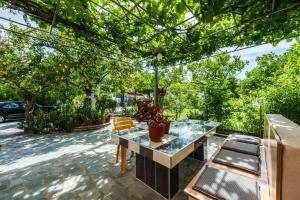 Its self-catering accommodations opens out to a furnished balcony overlooking the colorful garden. WiFi is offered throughout. The simply decorated studios of Zotos feature a kitchenette with fridge and a small electric oven. Each air-conditioned units has a TV with satellite channels. The private bathroom comes with a shower. A mini market and a free swimming pool can be found 50 feet from Zotos Rooms. 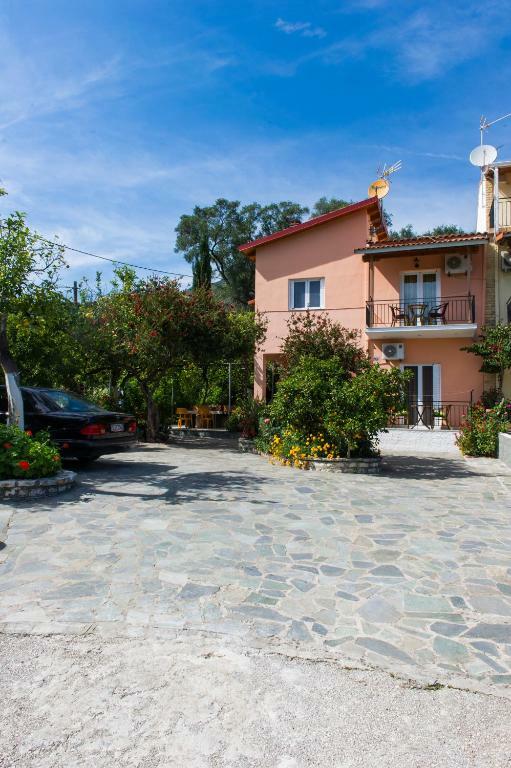 Parga Town is located 0.9 mi away, while the lively Syvota is at 16 mi. Guests will find the famous Karavostasi Beach at 14 mi. Free private parking is possible on site. 뀐 Located in the top-rated area in Parga, this property has an excellent location score of 9.2! When would you like to stay at Zotos Rooms? Within 984 feet from the sandy beach, this air-conditioned studio offers free WiFi and overlooks the blossomed garden from its private balcony. A kitchenette with fridge and small electric oven is available. House Rules Zotos Rooms takes special requests – add in the next step! Zotos Rooms accepts these cards and reserves the right to temporarily hold an amount prior to arrival. Please inform Zotos Rooms of your expected arrival time in advance. You can use the Special Requests box when booking, or contact the property directly using the contact details in your confirmation. Very nice apartment and friendly hosts. I recomend!